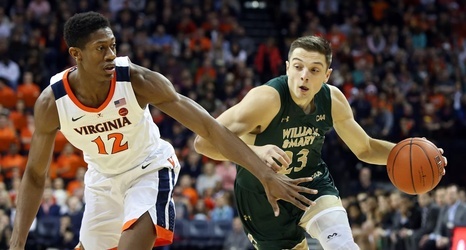 Michigan is expected to host William and Mary grad transfer forward Justin Pierce this upcoming Friday and Saturday, reports Josh Henschke of 247 Sports. Can confirm William & Mary grad transfer target Justin Pierce is set to officially visit #Michigan this upcoming Friday and Saturday. The 6-foot-7, 215-pounder was selected for the All-Colonial Athletic Association third-team the past two seasons. He earned this by averaging 14.9 points, 8.9 rebounds and 4.1 assists last year. This visit is possible preparation for the departure of either Charles Matthews, Ignas Brazdeikis and Jordan Poole, if not all three.